Did Jesus actually claim to be the Messiah and Son of God, or was the idea dreamed up by his fawning followers? Yes he did, and in a very Jewish way. 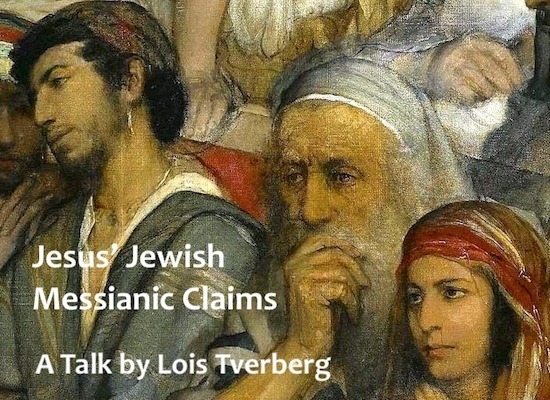 So Jewish, in fact, that Gentiles have mostly overlooked his powerful claims. A few weeks ago shared a talk about this in Indianapolis. The audio is at this link. I also wrote about this in my book Reading the Bible with Rabbi Jesus. Hello, I will be leading the women from our church in a Bible study on the book of Acts. The study we’re using describes how scriptures from Ezekiel were always read on the Jewish holiday of Pentecost. I had never heard that! Can you tell me more about that? I know Pentecost was a regular Jewish holiday long before it marked the time where the Holy Spirit was given to believers, just wanted to know more about it. Is it likely that Ezekiel was being read that very day of Pentecost in Jerusalem? Thank you for your help and insight.